At VacAir Superstore we understand how important it is to keep your pumps running at there optimum whilst also extending the working life. That’s why we offer a servicing and repairs for all types and makes of pumps. Whether you have a Vacuum Vane Pump or a Claw Pump, whether it is a Becker, Busch, Gardner Denver, Elmo Rietschle or any other brand, we can service and repair your pumps for you. There are 2 main types of services we offer when it comes to maintaining the quality and extending the life of your pumps, these are preventative maintenance and corrective maintenance. We can correct and fix any issues that may occur with the day to day running of your pumps either on location for simple repairs but more complex repairs may require us to take your pump away to our state of the art repair workshop. Not to worry though, we offer a great hire pump solution to ensure your machine isn’t going to be down during these repairs. To help prevent any sudden failures and an extended period of downtime our preventative maintenance team will come out to your location at an agreed time and date to suit you and the workload of your pump. When they visit you they will give your pump a health check and look to fix any wear and tear on the pump from it’s general use and replace any parts/consumables which require changing. Whether your pump requires a service or a repair you can be assured that VacAir Superstore will provide you with the best possible results at the lowest prices nationally! This is due to our qualified engineers complying with the high ISO9001 standards that are then combined with our range of replacement and original parts. On top of the outstanding quality and unbeatable prices for parts we also have the lowest labour rates within the UK for National pump repairs and services. To make this even better all of our service and repair work is covered by our full warranty that also complies with ISO9001 standards. 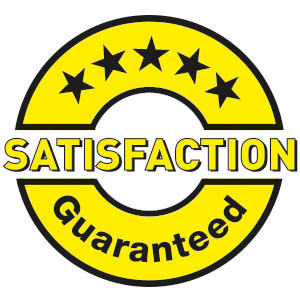 You really can’t get much better than VacAir Superstore for servicing and pump repairs. Our engineers are specifically trained and qualified to service and repair all makes and types of pumps, the main brands we service are Becker, Busch, Gardner Denver, Gast, DVP, Elmo, Oerlikon Leybold, Rietschle, Siemens and Werie. Don’t worry if your pump isn’t on the list we can usually offer the same service and repair for most makes of pump. We also offer a free quotation without obligation on any service or repair work you are thinking of.